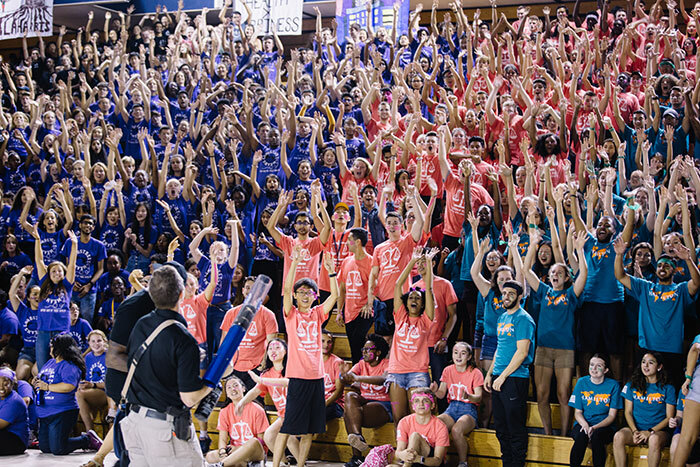 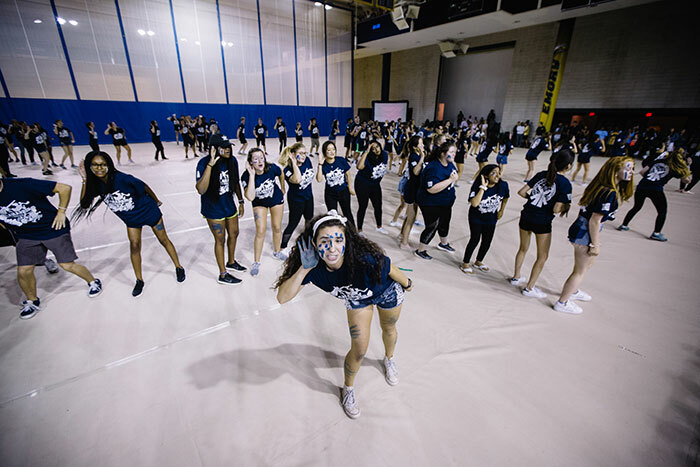 Woodruff PE Center was packed on Thursday evening, Aug. 28, as first-year students competed in Songfest, a beloved Emory tradition where students from each residence hall perform an original song about their new home. 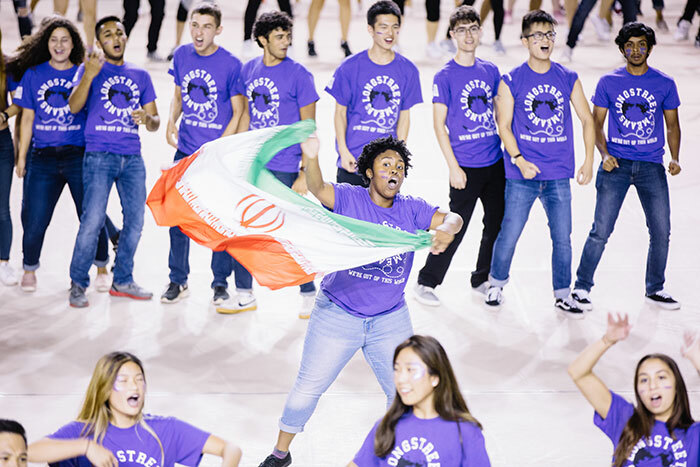 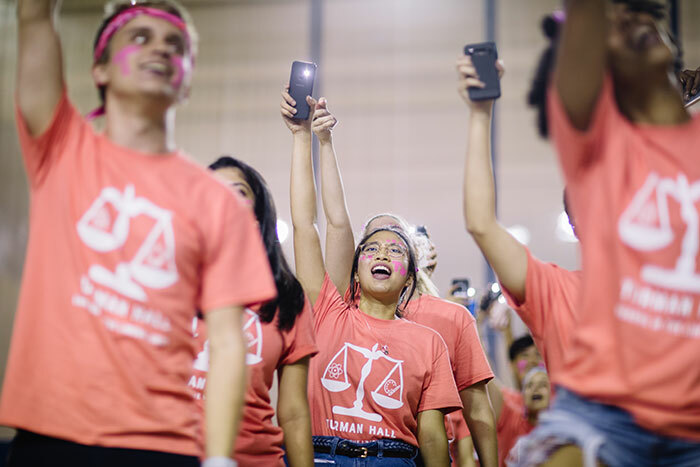 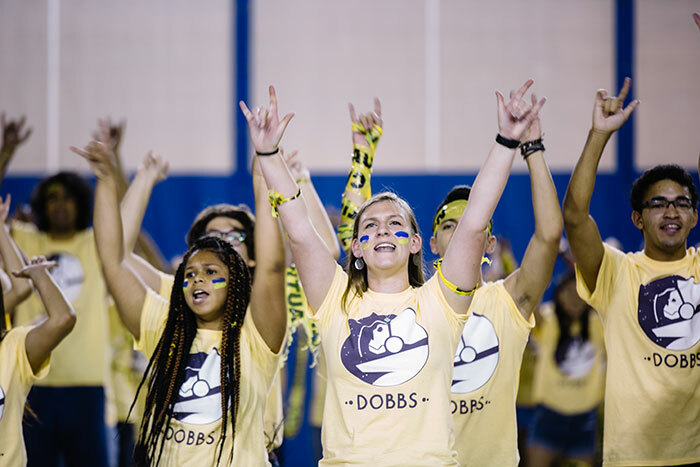 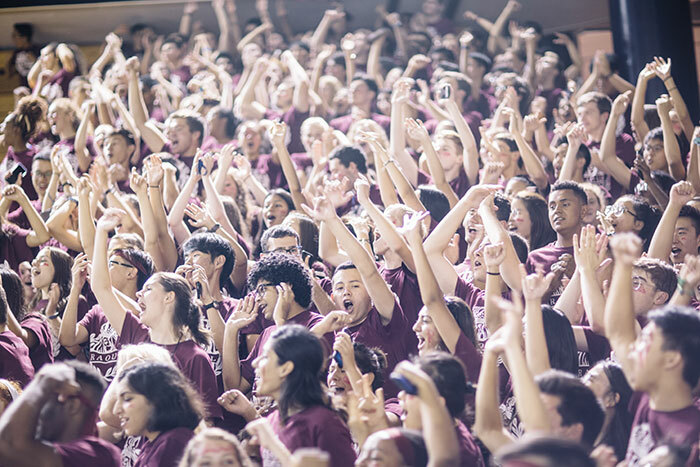 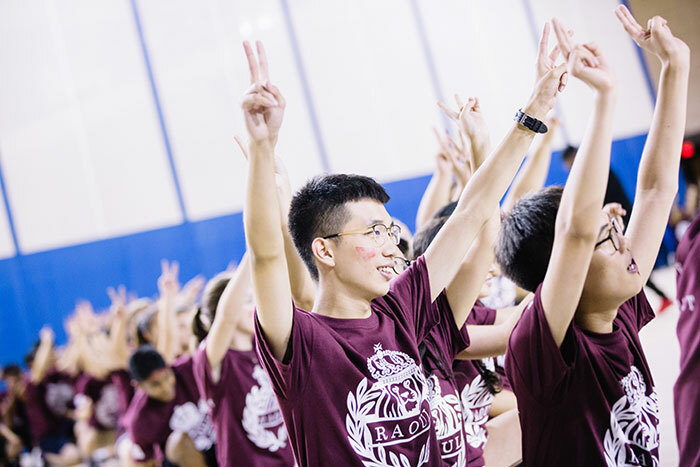 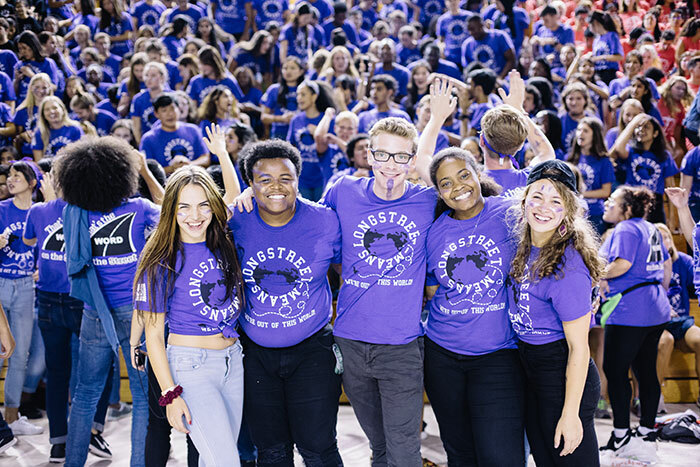 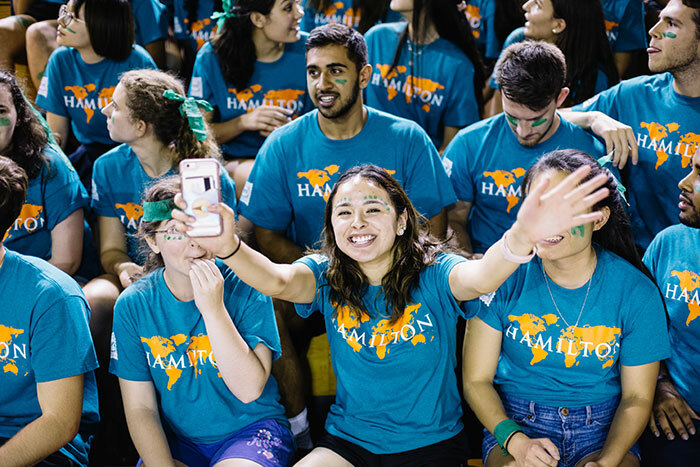 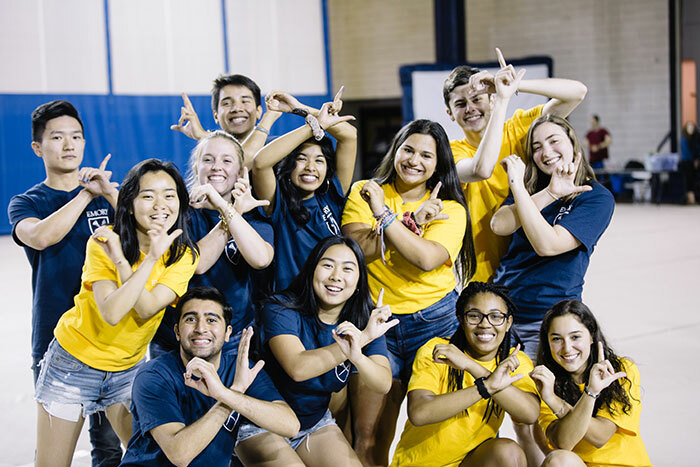 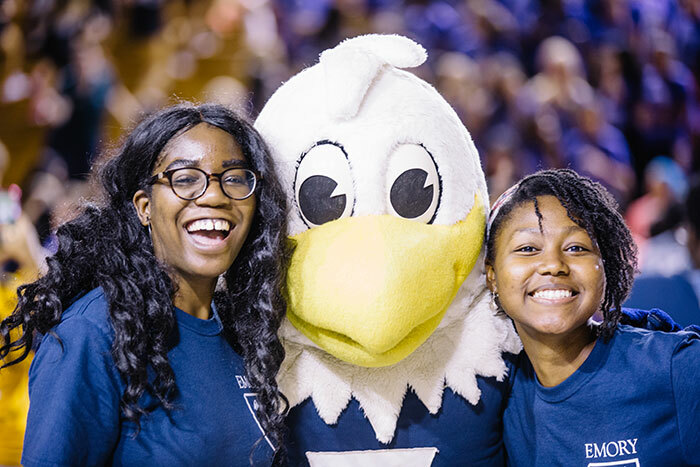 Judged by Emory administrators, the competition is fierce but friendly, and practicing and performing together is a great way for students to start making friends in their residence halls. 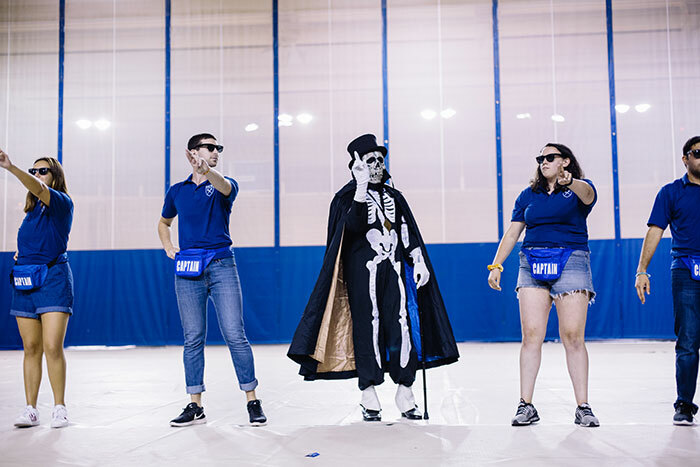 Swoop, Emory's official eagle mascot, and Dooley, the university's skeletal spirit of misrule, were on hand to enjoy the competition, as was Emory President Claire Sterk. 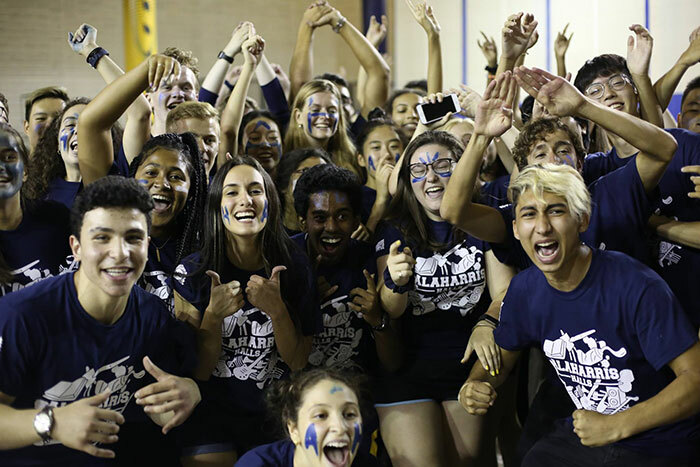 This year's winner is Alaharris, the housing community made up of Alabama and Harris halls.